Cinnamon Apple Cheesecake ....a celebration! Sunday was eventful.Weekend in the wild,lovely..…..hmm before anyone gets me wrong,I was talking about my visit to the Zoo.Its been quite some time since I visited one. I was all the more excited when P mentioned that this place was more of a wild life sanctuary. He was indeed right and I was happy to see animals in vast open spaces amidst thick vegetation. I believe it’s cruel to put animals in cage and not giving them freedom to move around. It was a good five hour walk thru the vast area.I was able to spot the majestic Tiger,its agile cousin the leopard,fast and furious Puma,marathon winner Ostrich,wild wolf to name a few.It was also a treat to watch cute li’l kids feed to Giraffes. The trip would have been memorable if I had spotted my fav animal the mighty Elephant.The highlight of the trip was the Monorail which runs across the entire place,giving us a panoramic view of the wild life and vegetation.Yet again the weather favored us.Last but not the least there was a festive mood in the Zoo,thanks to the wonderful musical orchestra. I had picked up a box of Strawberries,Blueberries and Raspberries from Sams thinking I would make something.We kept munching some on our way to the Zoo and before we finish the entire box I decided to make “ Fruity Stacks”.I guess this one is a perfect dessert when we end up with an unplanned dinner/party ,easy to make and great to relish! Fruits – You may use any fruits available (Strawberries,raspberries,Blueberries,Mango,Kiwi fruit,Banana,Apple,Nectarines,Peaches etc) – Chopped into small slices/pieces. Place one Phyllo sheet on a baking tray.Spray/brush butter and sprinkle sugar,place another sheet on top and brush butter and sprinkle sugar,place the last sheet ,brush/spray butter and sprinkle the almonds pecan mixture.Cut the Phylo sheets horizontally into three strips,further cutting them into small squares.Bake at 350F for about ten minutes/until golden brown.Cool it completely. In the meanwhile,beat the cream and a tbsp of sugar (this is optional,the cream had sweet so I avoided this).Just before serving,assemble the Phyllo square and fruits.Place one square,top it with Whipped Cream and fruits.Place another square and repeat the same. n u hv covered so many events with one entry...good job dearie..
wow so interesting and yummy recipe looks so delicious nice click. Lovely fruit stack. Want to grab one from your picture. Perfect for all events. They really look so so delcious. I think it is almost 8 years ago i went to a zoo and that too when my daughter was small. Yummy...Its simply delicious..Just can't wait to have it..
Wow this is awesome! Somewhat similar to Napoleon. Tempting dessert! Wow thats a nice click there....looks so yummy..want to have one right now. Those fruit stacks look delicious and unique: I don't believe I've ever seen anything like these before, and they sound incredible. I agree that animals out of cages is better than animals in cages, but zoos are still not the right place for any animal, and especially for large animals like tigers, elephants, lions, bears, large apes, deer, etc. who are meant to roam the wild. Green spaces created by zoos, however large, cannot compete with the freedom of the jungle. Think of it this way: how would we humans feel if we were confined only to the city or town we live in for the rest of our lives? Even if we couldn't afford to travel, or didn't want to, the idea of being limited by a boundary is really scary, isn't it? 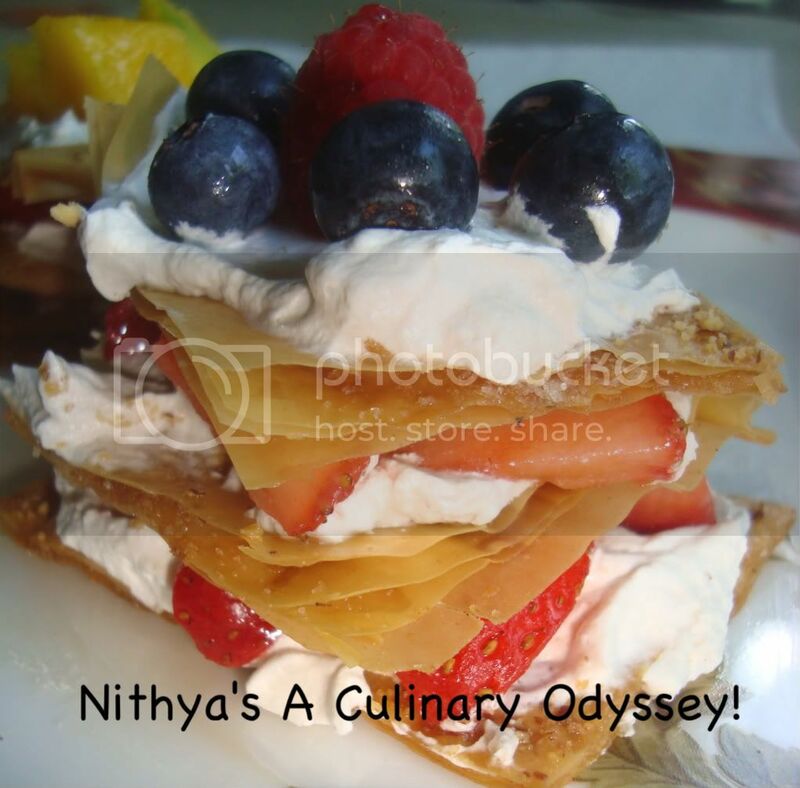 wow..amazing desert Nithya..that looks mouth watering..:)! Vaishali – I absolutely agree with you.However,big a Zoo is it cannot compete with a jungle…animals need their own space jes like we do.The idea of living in limited space is totally scary!Thanks so much for ur comment. Wow that looks crunchy, creamy and fruity. A wonderful little treat. Hey that's a really nice colorful click and refreshing too! its been a while since ive been to the zoo as well. The one here has opened and we were planning to make a visit once. The fruity stacks look gorgeous and tasty!! 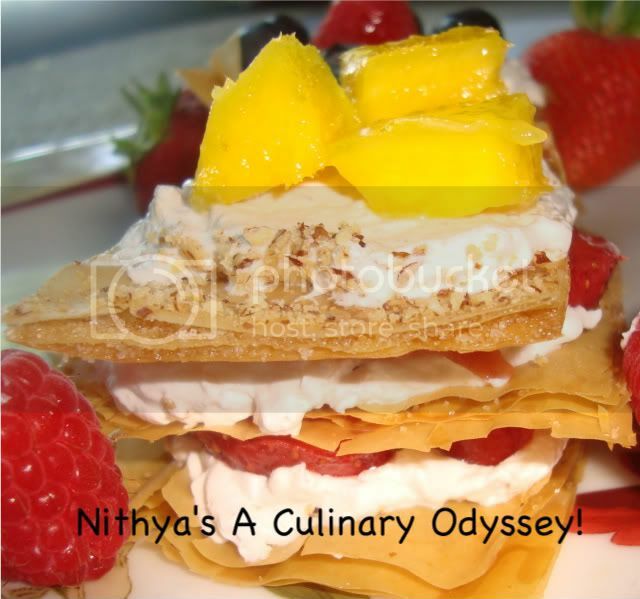 Lovely flavor combinations Nithya. Using phyllo sheets is definitely wise than using puff pastry sheets because the latter is full of saturated fat from the butter. fruity snack looks so colorful.. godd enough to eat from the picture..first time to ur blog...got good recipes.. 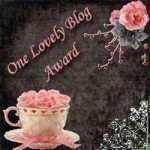 If u have time pls check out my blog!!! Lovely dessert. I've never seen phyllo look so good. What a tempting dessert Nithya....looks so tempting and delicious ...totally mouthwatering..
That's a most interesting dessert. Great way to finish a meal. Phyllo sheets are the best right? While looking for a low calorie, crisp sheet? Great looking desert with fresh fruits. First time to your blog.. This is such a fun and fresh idea; I like how the fruit is the main part of the dessert.